Enter The CoolSculpting Fire & Ice Drawing! Scroll Down For More Information and To Enter To Win! We’ve all heard of ways to lose stubborn belly fat that are NOT cool. Freezing away fat cells with CoolSculpting? Now, that’s COOL! CoolSculpting is the only FDA-cleared treatment that freezes and eliminates unwanted fat cells with little to no downtime. Enter monthly for your chance to win the non-surgical fat reduction treatment. Have a friend or family member who would be interested in CoolSculpting? Let them know about our Drawing! Did you know that diet and exercise alone just shrink fat cells, while CoolSculpting gradually eliminates them? With millions of treatments performed worldwide, CoolSculpting is proven to be a safe and effective solution for non-surgical fat reduction. Check out these Before and After photos from real patients. 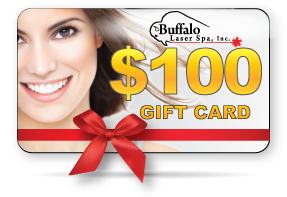 Schedule a consultation with Buffalo Laser Spa to determine if you’re a candidate for the treatment. Do you want to receive a monthly reminder email to enter the sweepstakes? Yes, I would like to receive information from Buffalo Laser Spa related to CoolSculpting® and other products and services. I understand that the information pertaining to me that Buffalo Laser Spa collects will be used in accordance with our Privacy Statement. NO PURCHASE NECESSARY. A PURCHASE WILL NOT INCREASE YOUR CHANCES OF WINNING. LEGAL RESIDENTS OF THE 50 UNITED STATES (D.C.) 18 YEARS AND OLDER. VOID WHERE PROHIBITED.